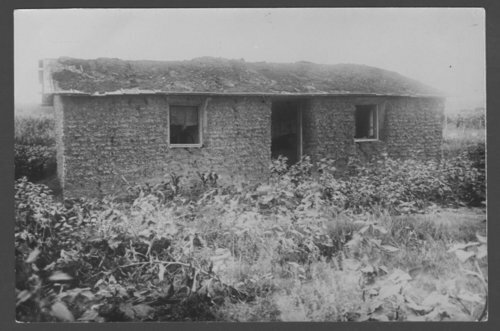 This photograph shows a sod house west of the Odd Fellows Home in Riley County, Kansas. The use of sod to build homes and sometime schools was common on the Kansas prairie due to the lack of wood and other natural resources. The donor of the photograph is the Woman's Kansas Day Club.